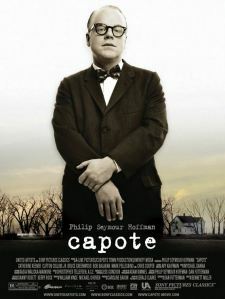 Philip Seymour Hoffman offers a unique and brilliant performance as Truman Capote, one of the most famous authors in American history. The movie follows the events that took place in Kansas in 1959, where a family was brutally murdered “in cold blood” by two young men. Capote is sent to write an article about the incident and soon begins to develop a relationship with one of the convicts (played by Clifton Collins Jr.). The events dramatized here eventually inspired the author to write one of his most famous books “In Cold Blood”. A powerful movie in every sense of the word; Hoffman is a must see in his oscar winning performance.